Kashmir, the death toll rises to 44. Islamabad condemns the attack The bomber a local fundamentalist of the Pakistani Islamic group Jaish-e-Mohammad. An official note from the Pakistani government rejects all " insinuations" of Islamabad connection with the incident. In Bandra a mass in memory of the dead soldiers. 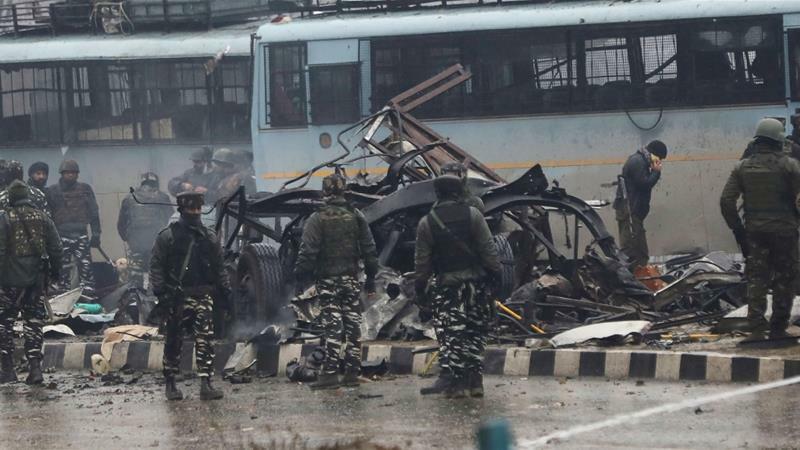 Srinagar (AsiaNews) - The death toll of the victims of yesterday's violent explosion in Indian Kashmir, a few kilometers from Srinagar, has risen to 44. This is the most serious attack against the personnel of the Indian Union army. The massacre was immediately claimed by the Jaish-e-Mohammad (JeM), a Pakistani fundamentalist group. India has long asked the UN for inclusion in the list of terrorist groups, but the official condemnation never came because of the opposition of China, an ally of Pakistan. This is why today Prime Minister Narendra Modi has returned to call for sanctions against militants led by Masood Azhar and continues to point the finger at Islamabad as a "sponsor of international terrorism". For its part, with an official note, the Pakistani Foreign Ministry defines the attack as a "source of serious concern" and rejects the versions of the Indian press that hypothesizes links between the Pakistani government and the attackers. "We have always condemned - the statement reads - acts of violence throughout the world. We strongly reject any insinuation of elements in the Indian media and government that attempt to connect the attack to Pakistan without having carried out any investigation. " For now the only reliable information is that the incident occurred in the Pulwama district, on the Srinagar-Jammu highway, which is usually subject to strict controls. Even the movement of such a large convoy is an exception, probably due to the snow that in recent days has blocked traffic on that stretch of road. The dynamics of the attack are also uncertain: it is not clear whether the bomber drove the explosive car into one of Central Reserve Police Force vehicles, or if he activated the detonator when passing. However, the explosion was so violent that it melted the body of the truck. Investigators broke some reservations only on the name of the JeM attacker: Adil Ahmad Dar, known as the "Waqas Commando" and resident in the Pulwama district. Kashmir the Kashmir dossier is among the most controversial issues in the country. The territory on the border with Pakistan, is disputed by the two nations since the division of the former British Empire, which took place in 1947. The numerous attempts to establish independence and a latent conflict have caused tens of thousands of deaths, most of them civilians. The dispute was rekindled was 2016, when the security forces killed the famous separatist Burhan Wani. In retaliation, the militants stormed the military base at Uri and killed 18 soldiers. From that moment the clash between rebels and soldiers led to the death of 500 people only in 2018.